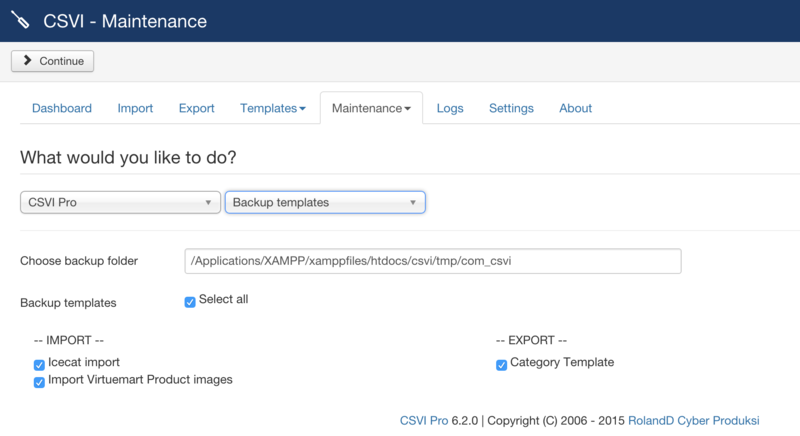 CSVI provides an option of backing up your templates and restore them whenever needed. It can be done from maintainence tab, select the templates needs to be backedup and the folder path where file has to be stored, click on continue on top corner. Once the Process is completed, CSVI would notify the message with the number of templates and the log information. The path and the name of the backup file name is also displayed with the message. Once the process is complete, CSVI would notify the number of templates restored.